Physical activity is very important for those who wish to stay healthy. Babies and young children should strive to meet physical activity guidelines if they want to develop normally. 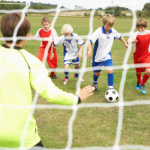 Sports help to promote fitness in children, as well as giving them an environment to improve other skills. 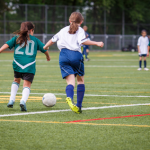 Playing sports is a great way to boost physical fitness in children, however there are plenty of other benefits too. Women have breastfed babies throughout history, but the relatively recent invention of infant formula means that new mothers now have more of a choice about how they feed their children. Whilst formula is a great option for some parents, new mothers are urged to consider breastfeeding if they are able to, because breastfeeding is known to have a number of health benefits for both baby and mother. Mothers who are lucky enough to be able to breastfeed their children are advised to feed their baby solely with breast milk until the baby is at least 26 weeks old. Although around 73% of women in the United Kingdom breastfeed, some women still choose formula because they are not aware of the health benefits associated with breastfeeding. The human body has evolved to produce breast milk specifically to feed infants. Most women only start to lactate due to the hormones which are associated with pregnancy and the breasts express milk in a way that has adapted to be easier for babies. Breast milk also adapts over time to meet the changing needs of your baby. Most women will continue expressing milk as long as the milk is being used. Your baby will receive countless benefits from your breast milk that they are unable to gain from infant formula. Although formula is designed to emulate some of the benefits that are provided by the mother’s own breast milk, formula is not as successful because it is not able to provide the genetic benefits that breast milk offers. This is one of the main factors that help to reduce the risk of infection to newborns. This can help to reduce the number of hospital visits that are needed during infancy. Feeding your child breast milk straight from the breast reduces the risk of vomiting and diarrhoea, which can have a serious effect on infants. This is partially due to the sanitation difficulties that accompany the preparation and sterilisation of the equipment which is used in baby formula. Even careful mothers can struggle with the difficult sterilisation process associated with formula, which can put babies at risk of developing sickness bugs. Medical research also shows that there may be links between breastfeeding and reductions in the risk of childhood leukaemia. Likewise, there is also a reduced risk from sudden infant death syndrome (SIDS). Because breast milk has developed to be the perfect food for young children, it offers them an excellent nutritional balance. Even babies who are fed using specially designed infant formula are unable to achieve a perfect balance. The nutritional benefits of breast milk mean that babies are less likely to develop type 2 diabetes or obesity during their early lives. The benefits of being breastfed can also continue into later life. Research has shown that those who were breastfed were less likely to suffer from cardiovascular disease during adulthood. There are also believed to be links between breastfeeding and learning potential. Starting your baby’s life by giving them breast milk can help to put them in a positive position for the rest of their lives. Breastfeeding also has a number of benefits for new mothers. Most new mothers will continue to express milk even if they do not directly feed their baby from the breast. However, lactation will only continue to occur if there is ongoing demand for the milk that is produced. On the other hand, some new mothers may not be able to express milk if their babies come much earlier than expected. The longer that you continue to breast feed for; the greater that the health benefits are likely to be. Breastfeeding helps to reduce the risk of breast cancer and ovarian cancer in women. It is thought that the hormonal changes that are experienced during continued breastfeeding helps to reduce the risk of development of cancerous cells in these areas of the body. It is thought that women who breastfeed are also less likely to develop osteoporosis (brittle bones) when they grow older. Osteoporosis is a major risk factor in all women, due to hormonal changes, so anything that can be done to reduce risk can be a major bonus. Breastfeeding also helps to reduce the risk of obesity. Creating breast milk for a baby requires the body to use up additional energy. Holding a baby and expressing milk also help to burn calories. Burning additional calories can help a woman to reduce her risk of weight gain. On the other hand, women who are breastfeeding are often more aware of the foods that they are putting into their bodies. This awareness can help them to avoid eating certain foods that are unhealthy, as the health risks from these foods can pass to their child in the breast milk.